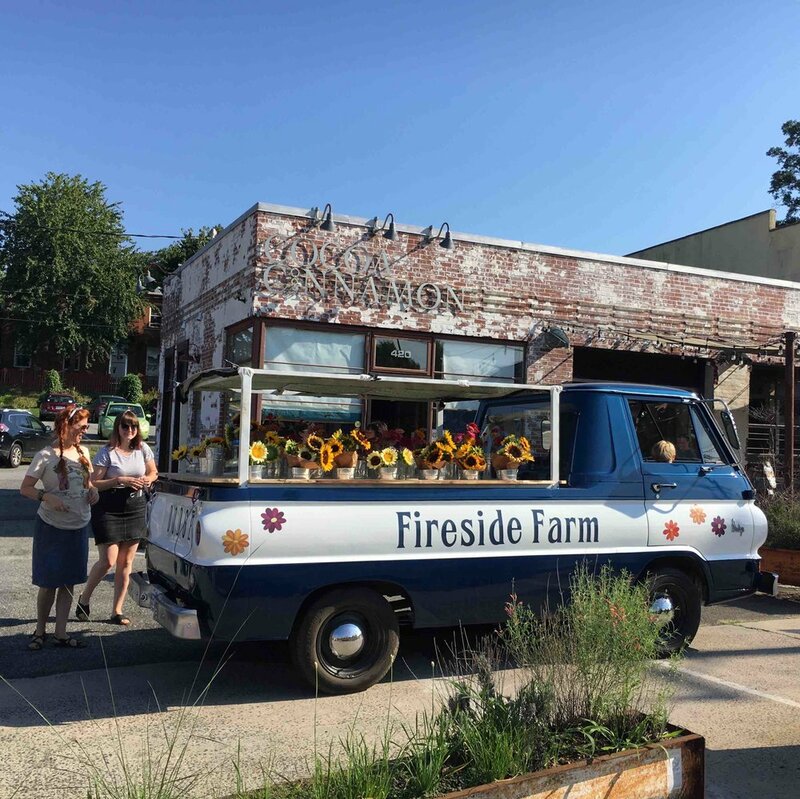 Sprout the Flower Truck is Fireside Farm's mobile flower stand in Saxapahaw, Durham, and Chapel Hill. Sprout is a 1969 Dodge A100. During the N.C. growing season (March through November), we sell flowers out of Sprout. Look for us at the Geer Street Cocoa Cinnamon on Saturday mornings and at local festivals. Sprout loves to share flowers, so invite her to your upcoming event, wedding, or business opening!